The Jet Airways board will meet on April 16 to consider the future course of action. 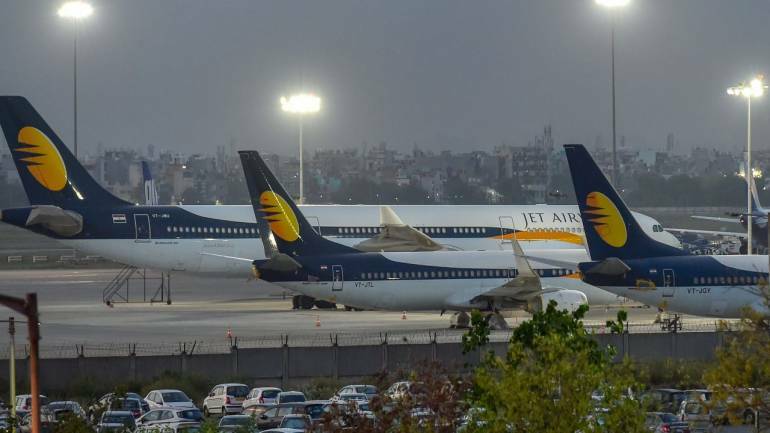 In a serious setback to Jet Airways, its lenders have refused to infuse interim funds, thereby putting a big question mark on its chances of survival. The senior management will brief the airline's board on April 16, said its top official. In a letter to employees soon after the meeting with banks proved futile, Jet Airways CEO Vinay Dube told employees that "Management will seek guidance from the Board on the next steps forward." "The interim funding has not been forthcoming thus far, and as a result of this we have extended cancellation of international operations through Thursday, April 18. The funds were crucial to keep Jet flying. The airline was operating just seven aircraft, out of 119, and had suspended its international operations from April 13. In the domestic market, it was operating less than 50 flights a day. The banks, which had earlier promised Rs 1,500 crore in emergency funding, had transferred only about Rs 250 crore. They were reluctant to give more, given the high debt of the airline. Jet has debts of over Rs 8,000 crore.